Seven Ozaukee County parks and preserves rolled out the red carpet on Saturday for the annual Treasures of OZ Eco-Tour. 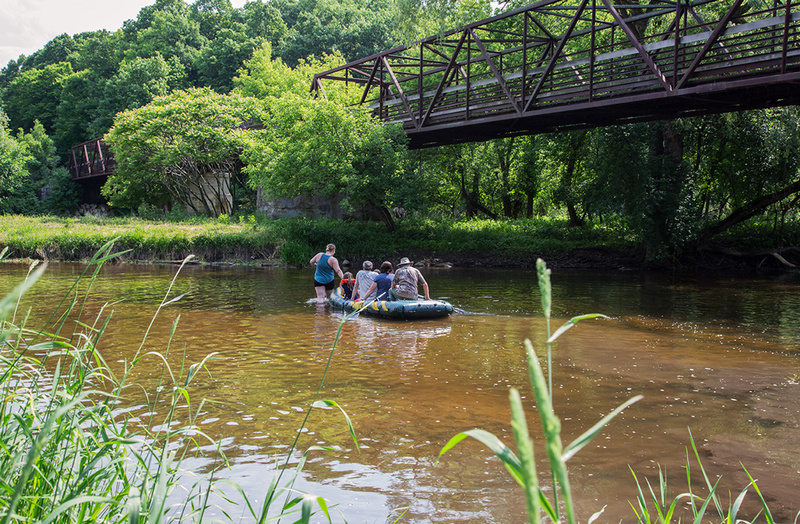 This year the event featured places on the banks of—and one in the middle of—the Milwaukee River, billed as Ozaukee’s Other Coast. Experts and volunteers at each site provided visitors with information about the park, the river and the fish and wildlife that can be found there. I made it to most of the sites, some of which were familiar. The two that I hadn’t seen before—Hawthorne Hills County Park and an island in the river—were special treats. 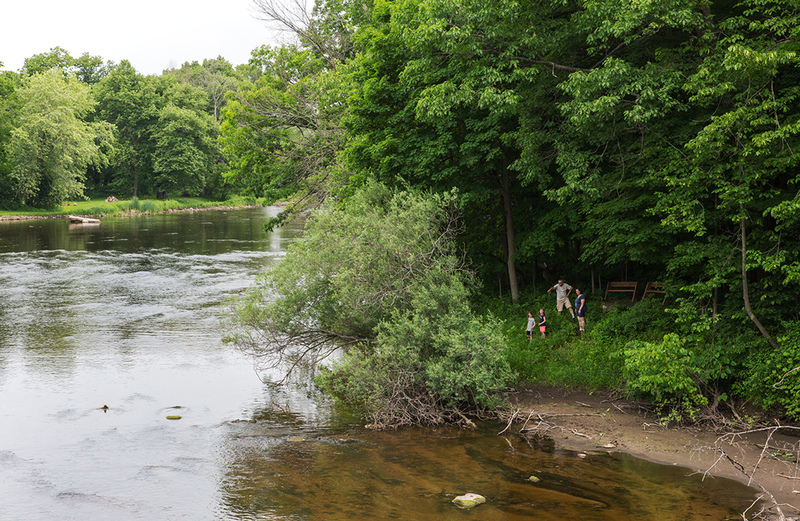 This 286-acre park north of Saukville has a lovely, large woodland with hiking trails down to the Milwaukee River. You drive in between Hawthorne Hills Golf Course and Pioneer Village along a road that also leads to H.H.Peters Youth Camp, which was open for the event as well. Shady Lane is a natural area of regional significance because of its variety of plants, including 75 species of trees, shrubs and wildflowers. The forest, dominated by sugar maple, beech, red oak, and basswood, is said to be much the same as it was in pre-settlement times. The rolling terrain varied from dense thickets to open understories. A lovely setting that I hope to return to soon. 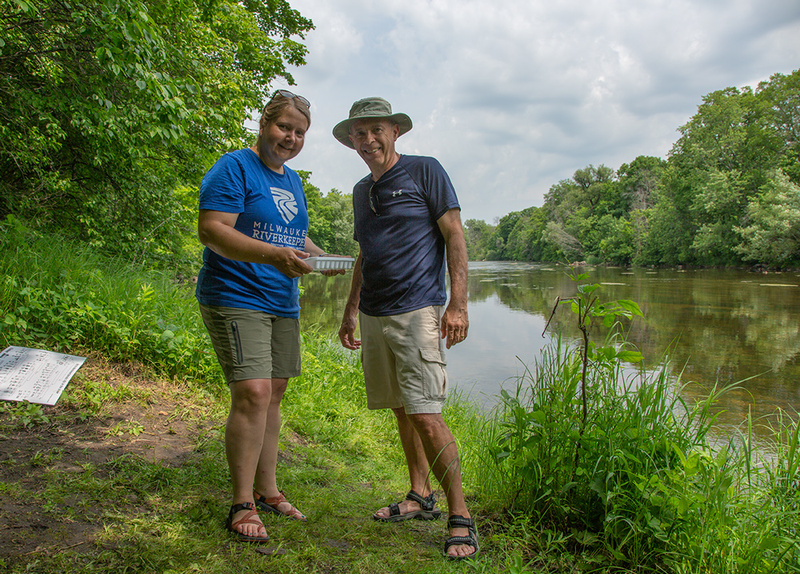 I found Cheryl Nenn, Milwaukee Riverkeeper, at the riverside, seen here with visitor Bob Brandt. She had been collecting macroinvertebrates to show people who made it all the way to her station. The names of myriad aquatic creatures rolled off her tongue, including caddisfly, mayfly, water penny, fingernail clams, sowbug, and gilled snail. This healthy list indicates that the water quality in the river is “good,” she said. However, she also reported the presence of “nuisance algae,” which indicates that too many nutrients are entering the watershed. 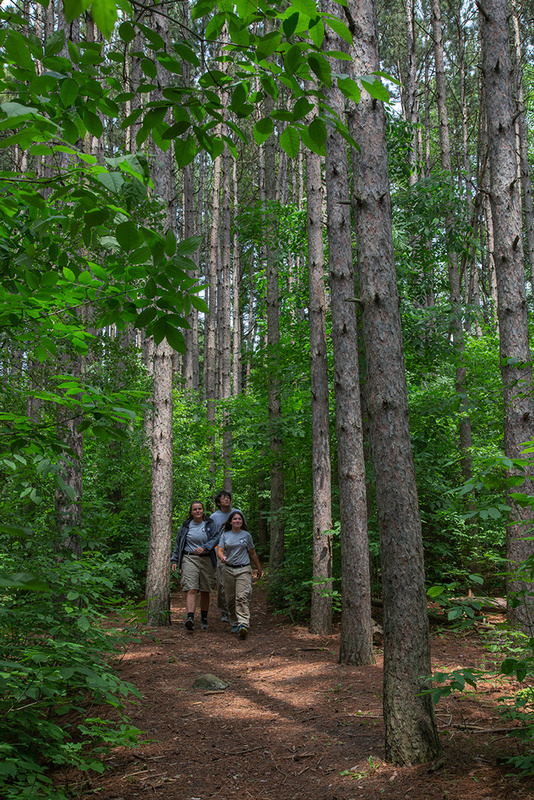 Margaret Godwin, Sidney Kiser and Michael Yang, Americorps volunteers with Ozaukee County Planning and Parks, were on hand to lead visitors on the circuitous woodland trails between Shady Lane Nature Area and H. H. Peters Youth Camp. 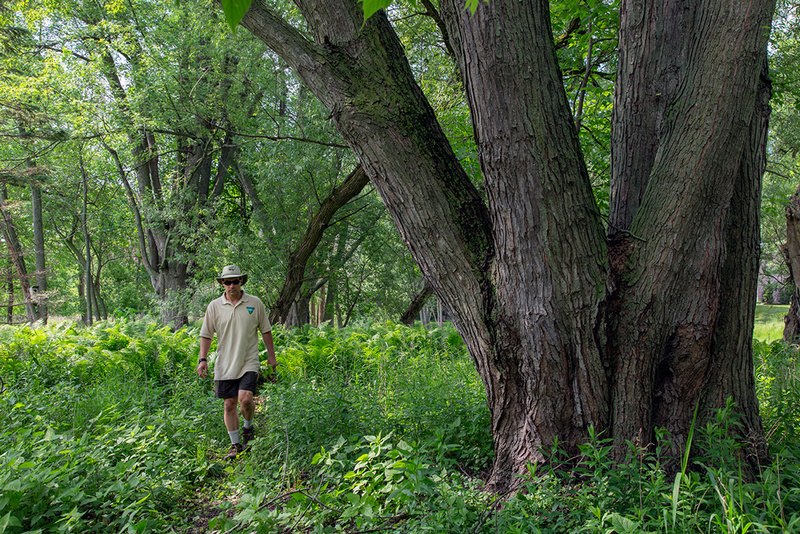 The tour took in just a small corner of Riveredge Nature Center’s sprawling property that brackets the Milwaukee River in Newburg. 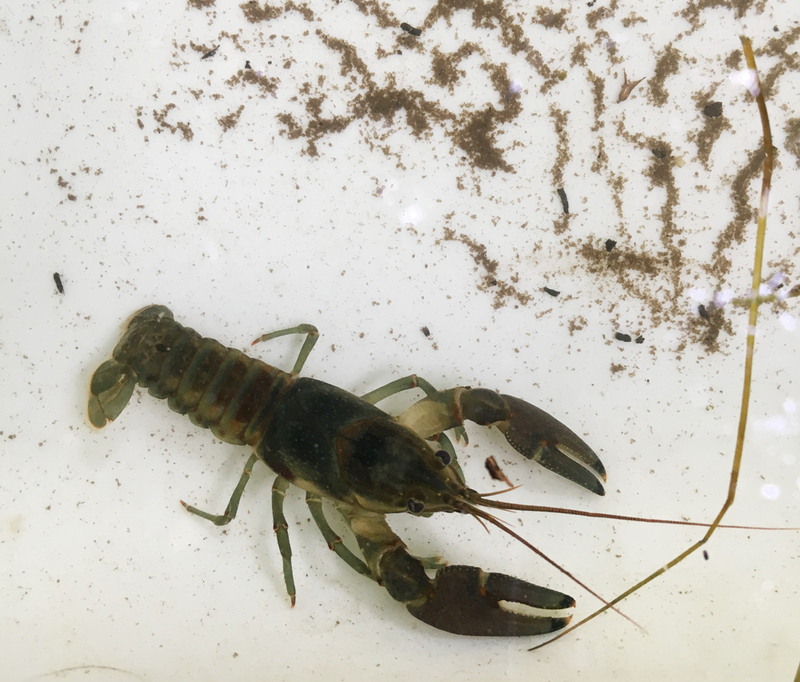 It featured more macroinvertebrates along with the trailer housing their famous sturgeon incubator. Like salmon, sturgeon will return to spawn in the river where they were born. 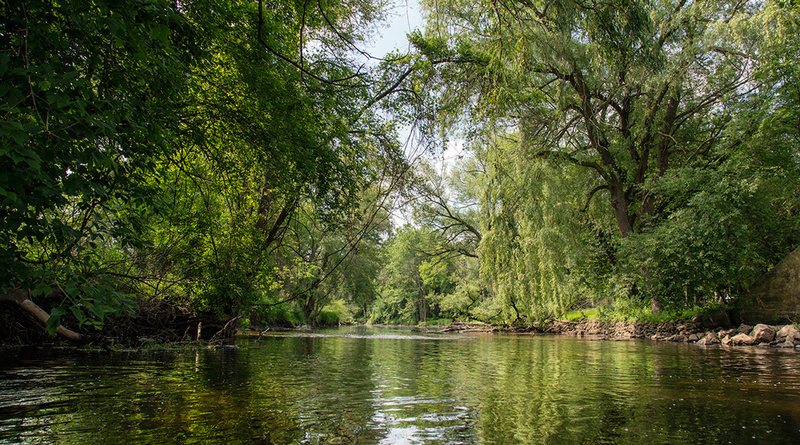 The Milwaukee River was historically an important sturgeon habitat. 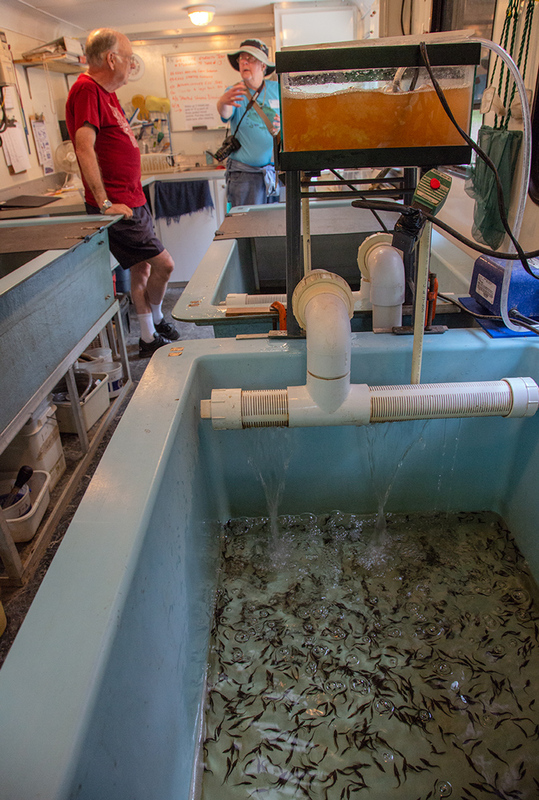 The incubator, which draws water directly from the river, improves the likelihood that the fish will imprint and return. 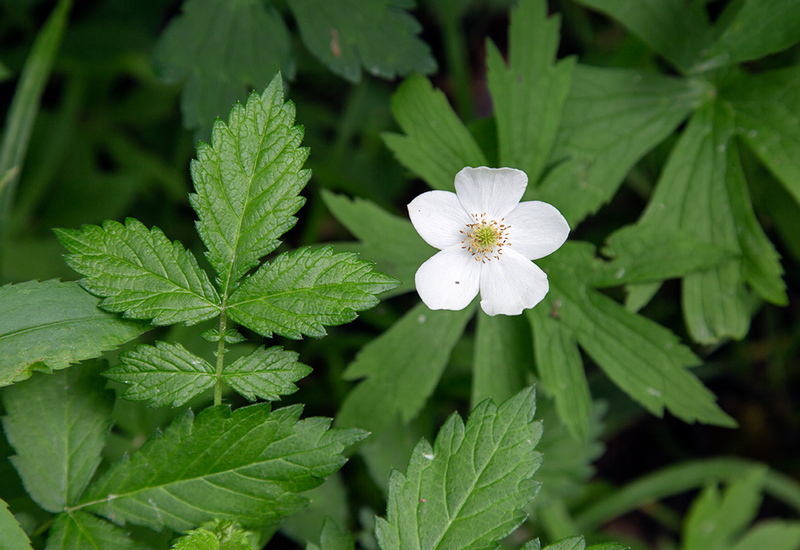 I was fortunate enough to get a personal tour from naturalist Kate Redmond, who identified plants all along the trail, including this Canada anemone, with its solitary blossom. 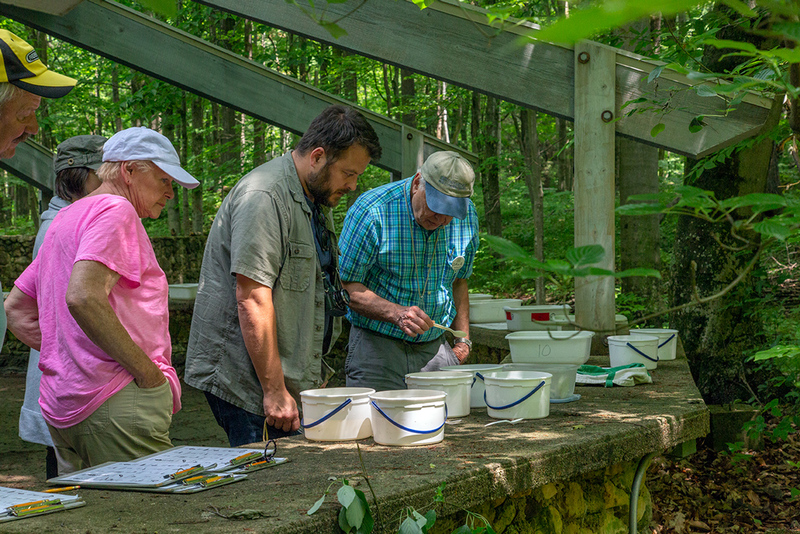 Perhaps not coincidentally, Riveredge Nature Center is celebrating 50 years of pursuing its mission: to support conservation through education that awakens curiosity, engages the body, and explores connections to nature for all generations. 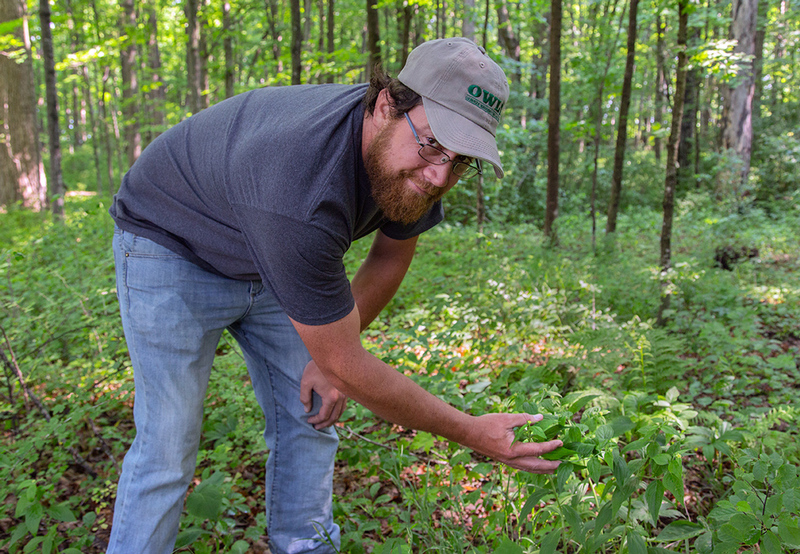 This preserve in Grafton, owned by the Ozaukee Washington Land Trust, makes up for its modest 17-acre size by being rich in plant diversity and native species. Ryan Wallin, OWLT Stewardship Director, was on hand to show me a few of them. 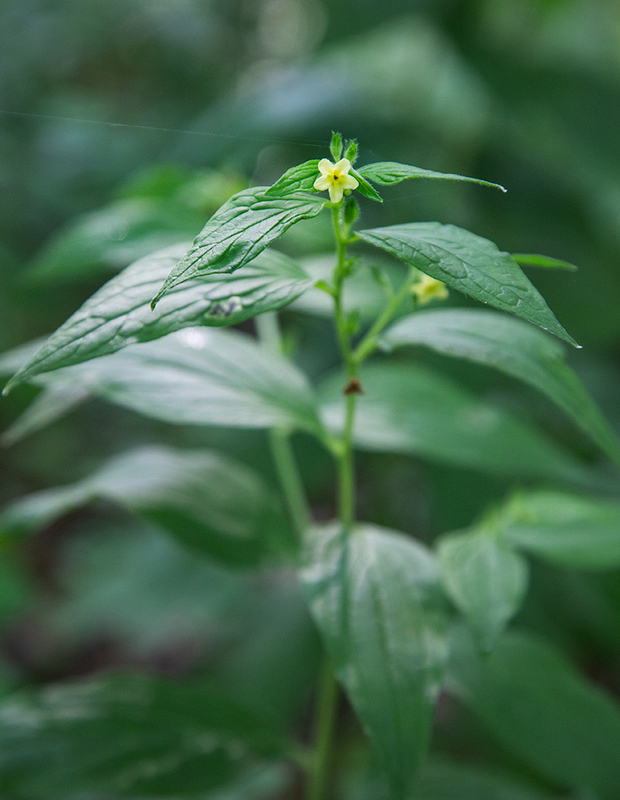 This plant is called Gromwell. With miniscule yellow blossoms, it is the opposite of showy and, without Wallin’s guidance, would have blended into the woodland setting completely. The volunteers at the Bratt Woods station were eager not only to show off the beautiful woods but also to explain the value of Shinrin-yoku. Translated as “forest bathing,” Shinrin-yoku was popularized in Japan, where it is considered basic medical practice to relieve anxiety and the stresses of contemporary lifestyles. Shinrin-yoku is not considered exercise. Rather, it is the simple experience of being in and connecting with nature through all our senses that heals. I’m a believer! 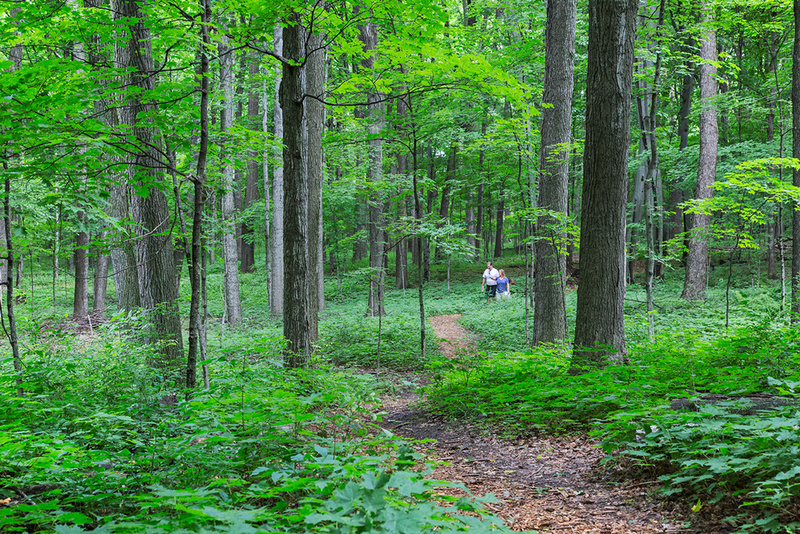 Bratt Woods Preserve, which borders the Milwaukee River, contains a mix of hardwoods dominated by mature oak, maple, and American beech. 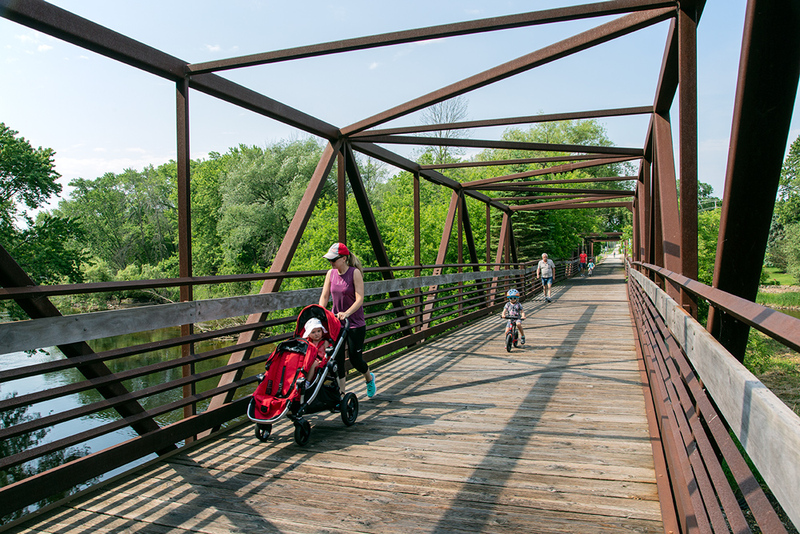 It is accessible from the Ozaukee Interurban Trail, which runs along the southern edge and which connects to the next stop on the tour: Bike Path Island. It is an island in the Milwaukee River and although the Ozaukee Interurban Trail runs across the top—hence the utilitarian name—it is inaccessible except by boat. A friendly young volunteer named Sahara—yes, like the desert, she said—was on hand to ferry me across in a rubber raft. While I’d known there was an island here, I didn’t know that Bike Path Island is federally owned and managed by the Bureau of Land Management. BLM manager Derek Strohl was stationed on the island to answer questions. A short walk took me from end to end. 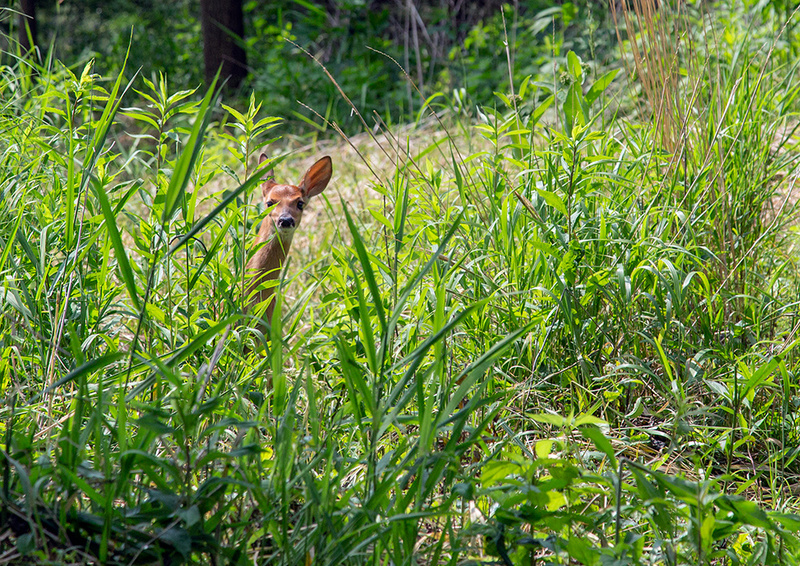 Near the downstream end a very agitated young fawn leaped through the tall grass in an effort to avoid the sudden presence of human visitors to its normally private domain. I chanced upon this riverside park as I was driving from one tour site to another. It was not officially listed as part of the tour, but a Treasures of OZ sign at the entrance prompted me to stop. 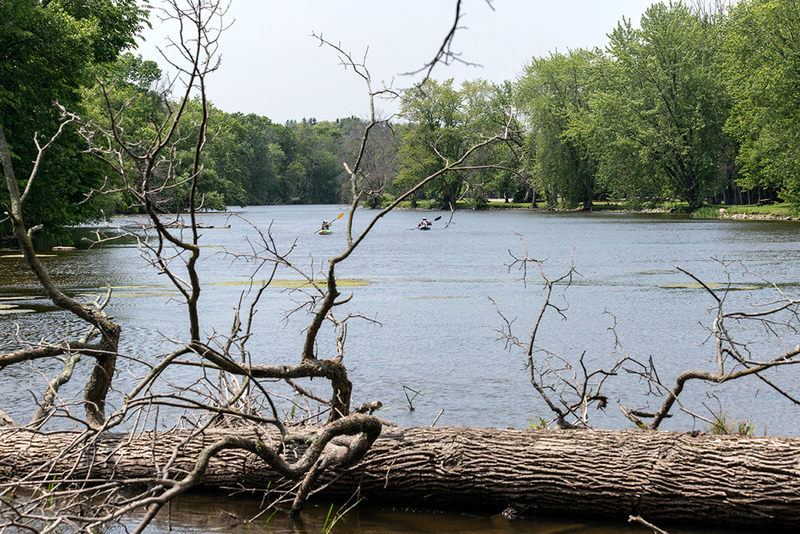 A couple of kayakers were putting in at the boat launch. There were people fishing and playing disc golf. Several of the ten campsites were occupied. I learned from the website that Waubedonia is the only Ozaukee County Park that offers camping. After a quick solo tour, I went on to my last stop. By the time I got to the last place on my personal list I was getting tired, so I didn’t take the tour. I grabbed one of the brats being offered by a boy scout troop, took a peek at the reptiles on display (I’m a sucker for snakes! ), scoped out the items in the silent auction and perused the exhibits. Then I headed home. But I resolved to return for a hike before another year goes by. 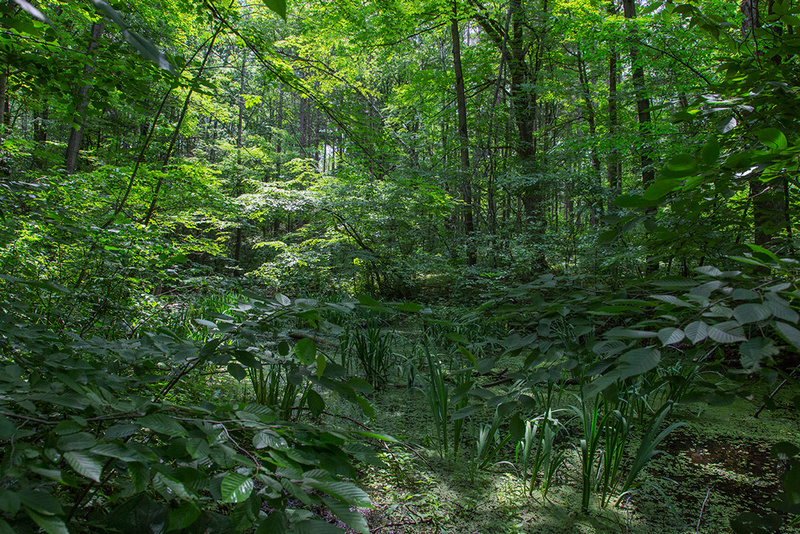 Forest Beach Migratory Preserve, which is home to the Western Great Lakes Bird and Bat Observatory, is definitely worth a longer look. To see additional photos of Treasures of OZ Eco-Tour 2018 go to Flickr. Eddee Daniel is a board member of Preserve Our Parks and the project director for A Wealth of Nature.